Sorry, Sold out! 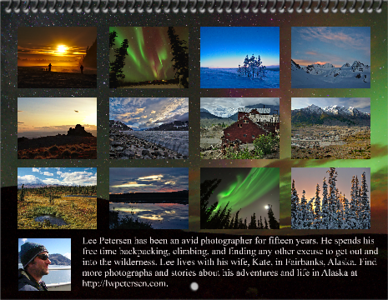 But, please follow me on social media, where I'll announce my 2016 calendar. Thanks! 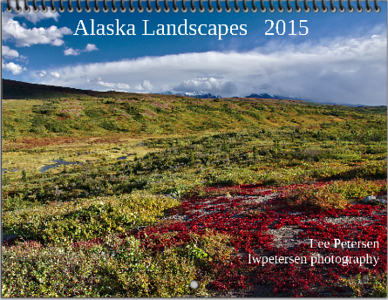 Below are the photos in my 2015 wall calendar "Alaska Landscapes"! 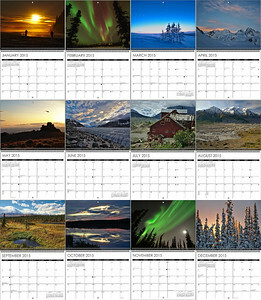 The calendars are each $35 - including shipping costs within the US. The unfolded size is 8.5"x11" and spiral bound. The first shipment is slated to ship mid-October. Stock is limited, but if enough people are interested I'll make an additional order before December. I've also made all of these photos available for purchase as prints, canvases, or float metal prints at a very reduced rate. Maybe you could take care of a little early Christmas shopping! 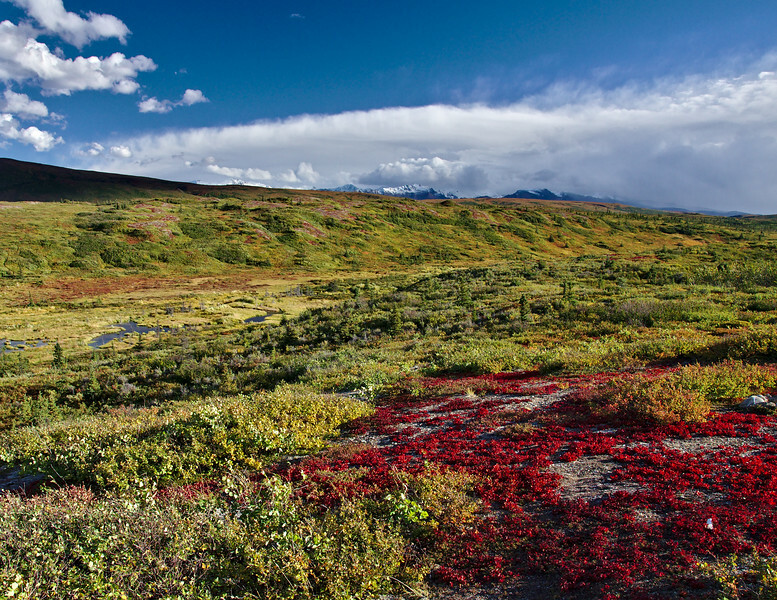 The ground-cover as it is just starting to change color on the open tundra north of the Alaska Range. Only a week earlier this was lush, vibrant green, now the hillsides take on a muted color as the foliage starts turning red and orange between the summer green.